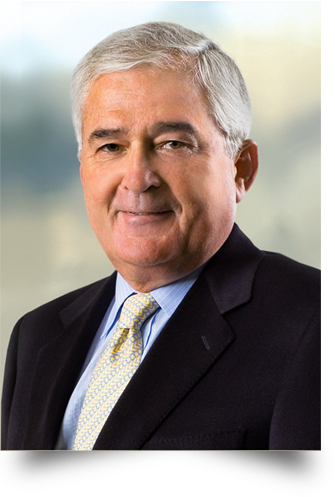 Louis V. Gerstner, Jr. served as chief executive officer and chairman of the board of IBM Corporation from April 1993 to March 2002 and chairman until his retirement in December 2002. Following IBM, Mr. Gerstner joined The Carlyle Group, a global private equity firm located in Washington, D.C. He served as chairman from January 2003 until October 2008 and upon retiring from that position, he continued as a senior advisor to Carlyle through September 2016. A native of Mineola, New York, Mr. Gerstner received a bachelor's degree in engineering from Dartmouth College in 1963 and an MBA from Harvard Business School in 1965. He is a member of the National Academy of Engineering, a Fellow of the American Academy of Arts and Sciences and has been awarded honorary doctorates from a number of U.S. universities. Mr. Gerstner is chairman of the board of directors of the Broad Institute of MIT and Harvard; vice chairman of the board of the American Museum of Natural History; a member of the board of Memorial Sloan-Kettering Cancer Center and chairman of the board of Gerstner Sloan Kettering Graduate School of Biomedical Sciences. In past years he served on a number of public company boards including Bristol-Myers Squibb, The New York Times, American Express, AT&T, and Caterpillar, Inc.
A lifetime advocate of the importance of quality K-12 education in America, Mr. Gerstner created The Teaching Commission in 2003 to develop specific policy recommendations to raise the stature, performance and accountability of teachers in U.S. schools. From 1996 to 2002 he co-chaired Achieve, an organization created by U.S. Governors and business leaders to drive high academic standards for public schools in the United States. At IBM he established Reinventing Education as a strategic partnership with 21 states and school districts which utilize IBM technology and technical assistance to eliminate key barriers to school reform and improve student performance. He has received numerous awards for his work in education, among them the Cleveland E. Dodge Medal for Distinguished Service to Education - Teachers College, Columbia University, and the Distinguished Service to Science and Education award from the American Museum of Natural History. In recognition of his work on behalf of public education, as well as his business accomplishments, Mr. Gerstner was awarded the designation of honorary Knight of the British Empire by Queen Elizabeth II in June 2001. Mr. Gerstner is the author of Who Says Elephants Can't Dance, the best-selling account of IBM's transformation; and he is the co-author of the book Reinventing Education: Entrepreneurship in America's Public Schools.